Raptors are strange and amazing little critters. When you think about dinosaurs, you picture huge and dangerous, giant and deadly. You're also probably a little glad that they're generally pretty dumb. But, then these guys break the mold. It might be a good idea to let your tyke get the danger side of that equation out of the way. 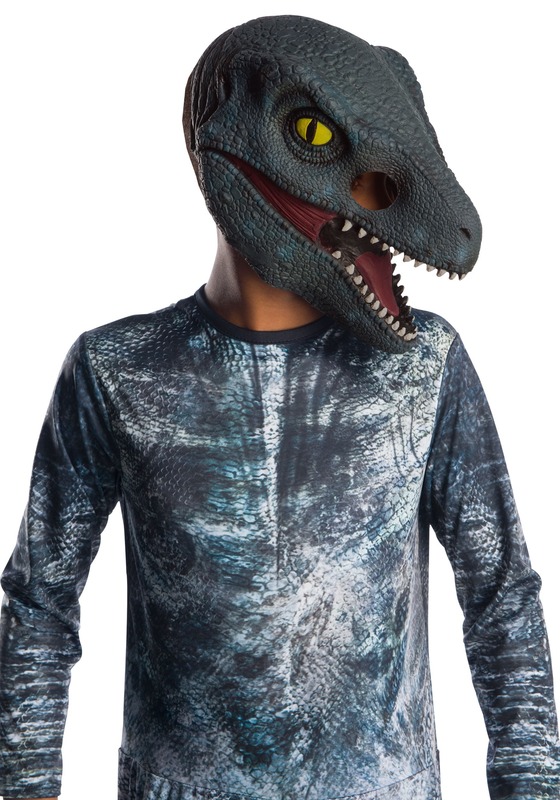 This Kid's Jurassic Wolrd 2 Blue Velociprator 3-Quarter Mask can be just the thing to let your darling get their dino out in a less ferocious way. The mask covers almost all your kiddo's head but the toothy raptor grin and cheekbone cut-outs allow for easy vision and breathing. The raptors of Jurassic World were probably the real stars of the show, but Blue is going to take center stage this time around. Show the world just how energetic a cute raptor can be when your kiddo slips this Jurassic World 2 Blue 3/4 Mask on and gives out that first cute roar. 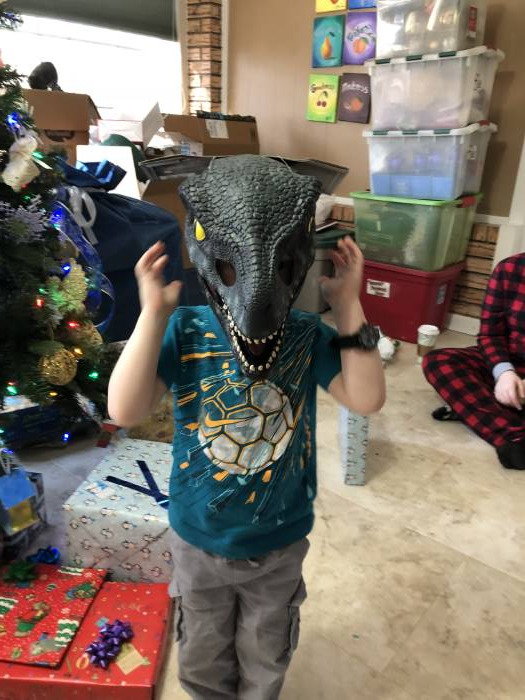 We have this mask to my three year old that loves dinosaurs and asked his Grandpa for a velociraptor mask for Christmas and he was so excited. It’s very realistic and high quality and fit him well.